Ph.D. student in MIR. Music and Audio Computing (MAC) Lab, KAIST. Love classical music, especially opera. I’m currently on my Ph.D. course in Music and Audio Computing (MAC) Lab, Graduate School of Culture Technology (GSCT), Korea Advanced Institue of Science and Technology (KAIST). My research interest includes Automatic Music Transcription, Audio-to-Score Alignment, Music Visualization, Performance Analysis, Web Audio API, and Computational Musicology. I love classical music a lot. This is the reason why my research interest is focused mainly on classical music. I’ve played the cello in KAIST Orchestra, and taken the lesson for orchestral conducting. I worked as an intern at Great Mountains Music Festival & School in 2012. 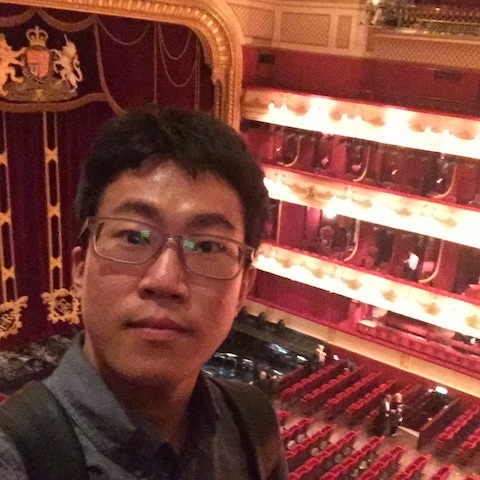 I’ve traveled many foreign cities to watch concerts or operas, including Bayreuth, Salzburg, Luzern, Glyndebourne, Berlin, München, Madrid, London, Paris, Beijing, and Tokyo. © 2019 Dasaem Jeong. Powered by Jekyll & Minimal Mistakes.